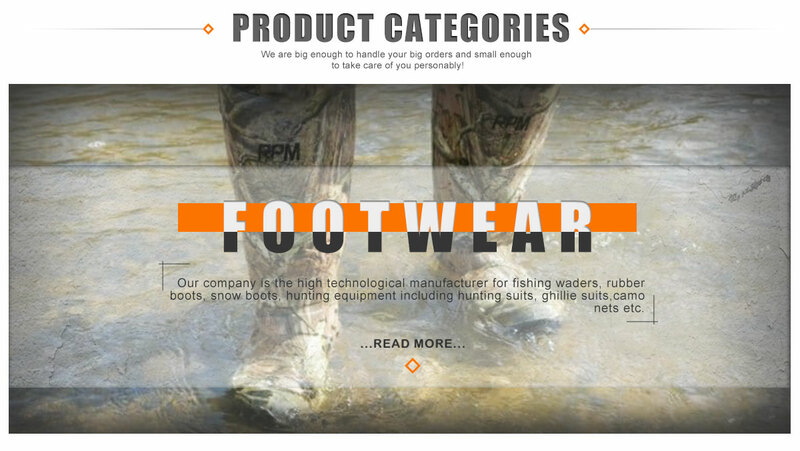 We have 20 years of experience in designing and making rain boots,fishing boots and hunting equipment. 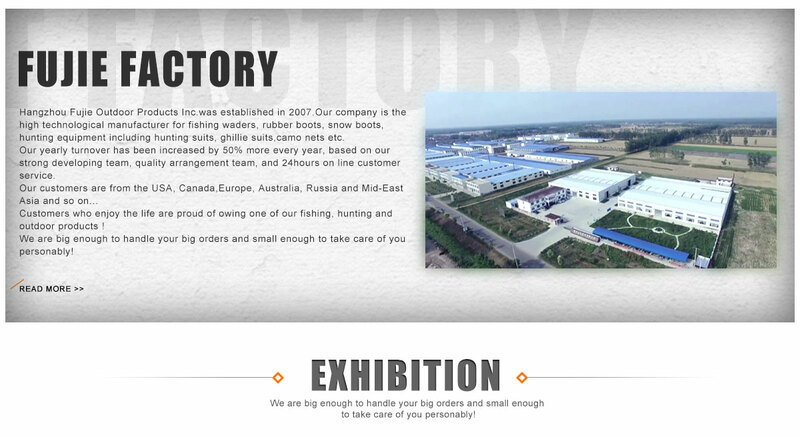 Hangzhou Fujie Outdoor Products Inc. specializes in design, manufacturing and trading a wide range of outdoor products. Experienced in manufacturing, transportation and door to door service, we have in-depth understanding of customer demands. With plenty of products in stock, we will provide you with any type of outdoor products without delay. Fujie is proud of its reputation for OEM excellence. We are dedicated to continually testing, designing and improving our products to ensure quality and maximum function. Maintaining our standing of being the world's best at what we do is important to us and what you expect from a name like Fujie. Our entire manufacturing process is centered around ensuring quality in every product, every time-without exception. To ensure the excellent quality delivered to the customers, the boat cover is thoroughly checked before dispatch. Our teams backed up by experienced management provides solutions to both clients and suppliers and help to achieve a sustainable and efficient growth chart. We are committed to making continual improvements in all areas of operation in order to achieve customer satisfaction. With 20 years of industrial experience, we can swiftly and precisely grasp customer needs. We will carry out additional checks on your feeedback, to ensure that we continue to deliver maximum output, productivity and profitability. 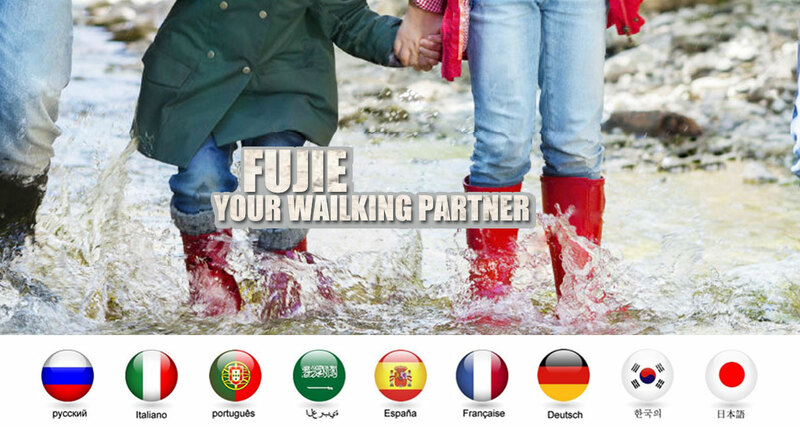 Fujie is committed to being there, and that means providing easy access to the information and customer care you need, when you need it.